Do you run out of your smartphone battery often? Looking for a portable charger? Well, lucky you! 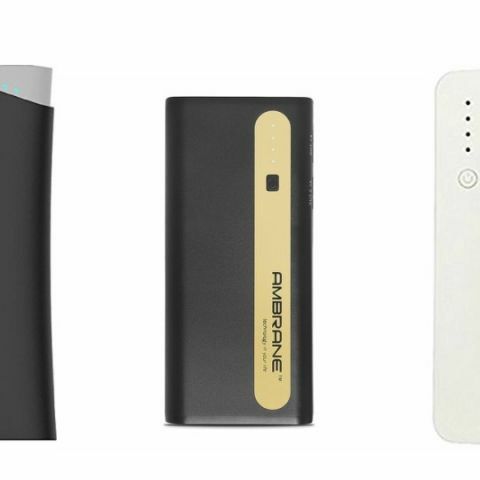 We have gone through Paytm Mall and listed down some of the best deals on power banks. Paytm Mall is offering a fair amount of discount on power banks along with a cashback. We have put together a bunch of deals on power banks that are from brands like Ambrane, Micromax, Syska and more. The Ambrane 13000mAh Power Bank comes with two USB ports of 2.1A and 1A. It also features an LED light that lets you know the charge left in the device. Click here to buy. The Micromax 13000mAh Power Bank is BIS certified. It features a dual USB port of 1A and 2.4A. The device is also equipped with a LED light, which indicates the power status of the device. Click here to buy. The Intex-PB 11000mAh Power Bank has three USB ports which can charge up to three devices at once. It has a number of LED lights that lets you know the charge left in the device. Click here to buy. The Mi 2i 20000mAh Power Bank features of two USB ports that can charge devices such as headphones, speakers, smartphones and more. The device comes with six months warranty, which does not cover physical damages. Click here to buy. The Syska Power Pro 20000mAh power bank is BIS certified and protected from overcharge, over discharge, and short-circuit. It features a dual USB port that can charge up to two smartphones at once. Click here to buy.